We want to capture your whole wedding...from morning nerves to embarrassing uncles on the dance floor we will be there to document it all! We have three simple packages for you to choose from. All packages include two awesome photographers all day! 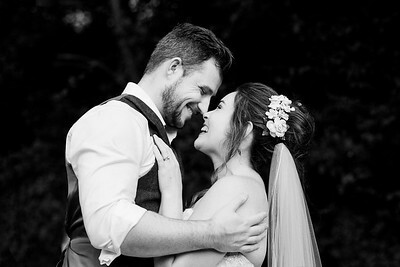 All day coverage from two photographers (from bridal prep to an hour after first dance). All Digital Images on USB. An online gallery for you to share with friends/family. Pre Wedding Shoot at your location or a location of your choice. All day coverage from two photographers. All Digital Images on a presentation USB with 30 of your favourite 6x4 prints. Beautiful Wall Art - A mosaic collection with a selection of images from your day. Choose from two 20x16in pieces or one Large 30x20in piece. Available in stunning Acrylics or Bamboo Panels. Travel and hotel Fees may be added if required. Please contact us to discuss.